Cortney Malcher is a registered dietitian and a certified specialist in oncology at the Smilow Cancer Hospital at Yale-New Haven and she recommends the American Institute for Cancer Research diet plan for patients with breast cancer. In fact the AICR proposes meals that are ’at least two-thirds vegetables, fruits, whole grains and beans and one-third or less animal protein. The most colourful vegetables and fruits dark leafy greens, sweet potatoes, carrots, blueberries and strawberries are examples contain the most nutrients and antioxidants’. 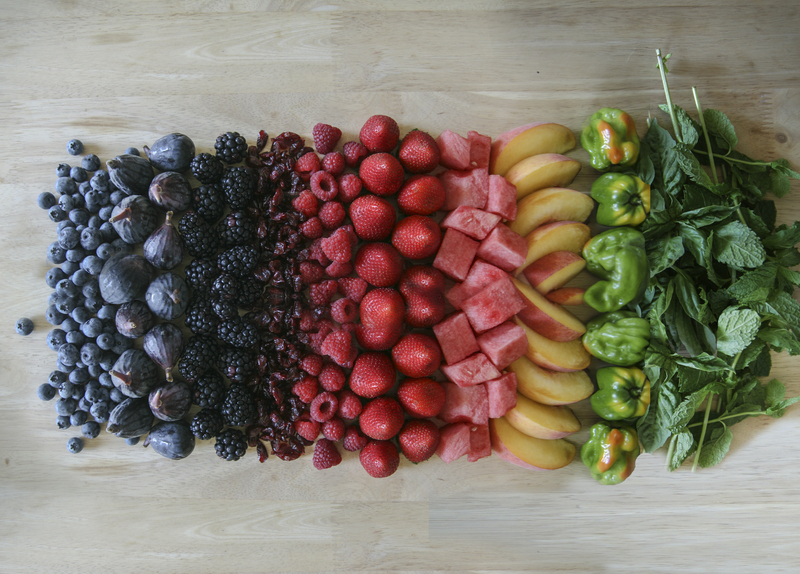 The article goes on to suggest ensuring you eat a rainbow of foods across the week. When planning meals based on the AICR recommendations or building a salad, aim for colourful ingredients. ’It may sound silly, but think of a rainbow,’ Malcher says. "Think of all of the colours of the rainbow in order to get all of the phytochemicals that give vegetables their color." Now, in which CANCERactive book have we read about this for the last five or more years!? Thank you to the American Cancer Society for endorsing something our founder Chris Woollams first suggested eight years ago! For more information about diet recommendations and nutrition, visit the http://www.aicr.org (American Institute for Cancer Research; http://www.cancer.gov (American Cancer Institute at the National Institutes of Health; http://www.cancer.org (American Cancer Society), and http://www.eatright.org (Academy of Nutrition and Dietetics). Or you could just read ’The Rainbow Diet and how it can help you beat cancer’.